Welcome to the Southern Alberta serving health leaders in communities of Eckville, Elnora and Coronation on the north, the Province of Saskatchewan border on the east, the United States border on the south, and the Province of British Columbia border on the west. Click on the links below to learn more about this chapter and its executive. 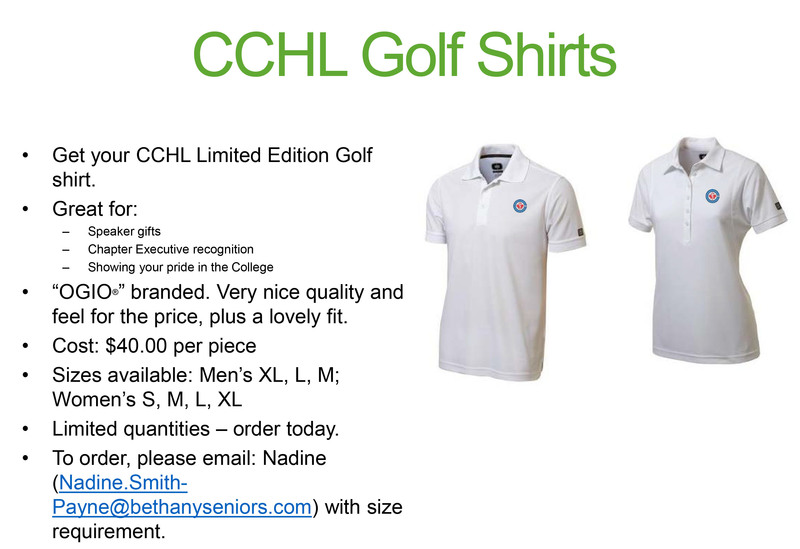 Get your CCHL Limited Edition Golf Shirt!